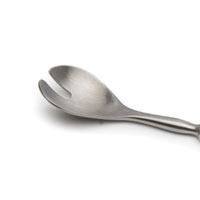 Surgical spoons or scoops are used for scraping or debriding tissue. A surgical spoon, curette or excavator can be used to remove pathologic tissue. A dental curette is used to scrape a carious cavity prior to a filling.